When it comes to Villa’s crunch games, we like to interview an opposition supporter site in the build-up to the big clash. With QPR, it’s also an excuse to scare a few children with a close-up picture of olde Harry Rednapp. Many thanks to Clive Whittingham of Loftforwords.co.uk for the insightful answers below. 1. For years now there has been talk of QPR’s new money and of ‘five-year’ plans etc, but QPR haven’t really got going. Why so? Well, QPR are a little bit prone to building houses on sand. The infrastructure at the club is barely League One standard – the stadium is obviously small and dated, the training ground is substandard and leased, the youth academy hasn’t produced a first team worthy player for the senior team in years and the scouting network doesn’t exist. The previous board, led by Flavio Briatore, spent a lot on player wages and hiring and firing managers but the only work they did on the infrastructure was turning the bits of the ground they used for entertaining and hospitality into some weird nightclub set up. When they left we had been promoted to the Premier League, but the training ground, youth academy, scouting set up etc was still as awful as it always had been. Tony Fernandes has since taken over and started to address these things, but they take time to get right and in the meantime we’ve tried to stay afloat in the Premier League by throwing more money at players and managers. The Fernandes board lacks previous experience in football and Harry Redknapp said in December that they’d been “taken for a ride” by agents over the previous 18 months with Neil Warnock and Mark Hughes in charge. We’ve bought the wrong type of player – ageing, won it all, nothing left to prove, in decline, looking for a final pay-day. Norwich and Swansea came up with us and have done a lot better by looking down the divisions and abroad for their signings, but this comes back to infrastructure and a scouting set up which they have and we don’t. For all the talk of five-year plans and what have you, QPR are infested with a chronic short termism – believing every problem they have can be solved by making another signing. 2. What was the reaction to Harry coming to QPR? And what was wrong with the previous management? I think 95% of people were happy to have Redknapp. He’d done very well for Spurs and was on the cusp of the England job less than a year before so to attract him to a club like QPR, in the dire position we were in when he arrived, was quite a coup. Some did express fears that he would simply come in and spend a load more of the club’s money, saddle us with a load more big earners etc and that could well be the case but given the position we were in, he was the best man available for the job. If anything we left it a few games too late before getting him – but that’s easy to say with hindsight. Mark Hughes will go down as one of the club’s worst ever managers. The signings he made were, almost to a man, expensive and dreadful. he’d picked up Chris Samba for Blackburn, Vincent Kompany for Man City and Moussa Dembele for Fulham but he lumbered us with Ji-Sung Park and Jose Bosingwa. Personally I think he just didn’t get what QPR was about, having spent the majority of his career at bigger clubs. We need players who are going to fight and scrap for every ball because we’re punching above our weight in the top flight; Hughes thought he would just stock the squad with senior professionals from successful clubs and it would automatically raise the standard but what it actually did was saddle us with a lot of players who couldn’t really be bothered, and create a division in the squad between them and those who were here already and were earning much less money for a much greater return. He made a complete mess of things basically. Well there does seem to be a strange thing happening this season where a newspaper reports a figure that QPR are paying a player and then it automatically becomes fact. Ordinarily people dismiss 99% of what they read in the press but when it comes to QPR it seems everybody is happy to swallow everything they’re given. 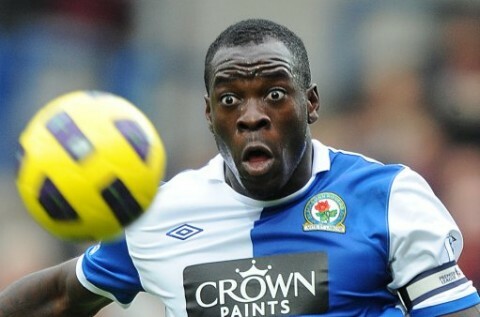 Chris Samba’s wages have been reported as being as high as £100,000 a week and that has now become a fact. The club says it’s simply not true. That said, the accounts don’t make pretty reading. Despite turnover rocketing from £16m in 2010/11 to £64m in 2011/12 thanks to the influx of top flight television money, the club increased its debt by a further £22m. The wage bill went from £26m per year in the Championship – already manifestly excessive for the level of football we were playing at – to £51m in the Premier League and the overall debt has gone from £56m to £89m. Shareholders have put in unsecured loans to the tune of £60m in the last two seasons. It’s fair to assume, given the amount of transfer activity this season, that all those numbers are going to be much worse in the next set of accounts. People talk about us being the new Portsmouth and they may end up being right. The main difference would be that we have not only Tony Fernandes and his consortium, but also the richest man in the country Lakshmi Mittal backing our club and Portsmouth never had that kind of money behind them. We owe the money to them, rather than banks or dodgy lenders, so although we’d be dead the moment they walked away they’d also lose all but a tiny portion of their money if they did so. They say they’re in it for the long-term and they’re pressing ahead with the construction of a new training ground. What can you do as a supporter? It’s modern-day British football isn’t it? Most clubs are solely reliant on a rich owner to bankroll them, so we’re no different to the majority. As fans we just have to pray they know what they’re doing and, if they don’t, will stick around long-term to clean up. 4. Do you think QPR can avoid the drop? If so, who do you think the three to go down, will be? Well we’re really going to have to go some. We didn’t win any of the first 16 and we’ve only won four since. Nobody has ever recovered from a position like it before. But we’re suddenly playing reasonably well, we’ve stuck two wins together for the first time since our promotion and our run in looks favourable. We’re reliant on one or two players staying fit – Remy and Samba mainly – and we’ll need an extraordinary run of results to get out of it but Wigan and us produced just that this time last season, so it’s possible. If we were to escape that leaves three from Wigan, Villa, Southampton and Reading I guess and I’d always back Wigan in that sort of situation because they seem to have mastered the art of the late escape. But, like I say, we’re really going to have to pull out all the stops. I think it’s one of us, Wigan and Villa to go with Southampton and Reading at the moment. 5. How do you view the current state of the QPR team – Strengths & weaknesses? Well we’re better defensively than our position may suggest. Redknapp has really tightened things up back there and our goals against total is the best of the sides at the bottom. We recently kept clean sheets against Spurs, Man City and Chelsea and took five points. The attack seems to hinge on Loic Remy’s fitness at the moment. He’s a quick, clinical goal threat and we look decent going forward when he’s in the team – he seems quite fragile though. Andros Townsend and Junior Hoilett are playing well in the wide areas at the moment as well. Plenty of weaknesses though, as you’d imagine given our league position – we have lots of options in the centre of midfield but none of them seem particularly good and we can easily find ourselves overrun there. We’ve struggled all season against teams that play the trendy 4-2-3-1 set up and Swansea have stuck nine through us in two matches playing that way. 6. How do you see the Villa vs QPR game going? It’s one of those where a draw wouldn’t be the worst outcome for either team and so that’s a decent bet I think. If we lose we’re seven points behind Villa with games running out but if we win then the psychological effect of losing such a match at home and Rangers closing up to a point behind with three straight wins could be really damaging for your lads. A draw sort of suits everybody so I’d tip a 1-1 if I was betting – but my tips are notoriously bad.